$8,800 off MSRP! 2019 GMC Sierra 3500HD Denali Allison 1000 6-Speed Automatic, 4WD, Cocoa/Dark Sand Leather. Summit White 4WD Duramax 6.6L V8 Turbodiesel You Always WIN When You DEAL With TWINS! Call 614.848.9999 OR VISIT US ONLINE AT www.twinsbuickgmc.com. $8,850 off MSRP! 2019 GMC Sierra 3500HD Denali Allison 1000 6-Speed Automatic, 4WD, Jet Black Leather. White Frost 4WD Duramax 6.6L V8 Turbodiesel You Always WIN When You DEAL With TWINS! 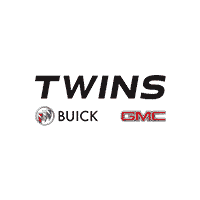 Call 614.848.9999 OR VISIT US ONLINE AT www.twinsbuickgmc.com.